The Inubosaki Marine Park Aquarium In the coastal town of Choshi just east of Tokyo on Japan’s Honshu Island, closed down in January, 2018, due to a lack of visitors. But still locked inside, after seven months, are a dolphin, 46 Humboldt penguins and numerous fish and reptiles. They are living in tiny pools, while the concrete crumbles around them. Reports say that they are being fed but animal rights campaigners have been refused entry, so they are unable to confirm this information. 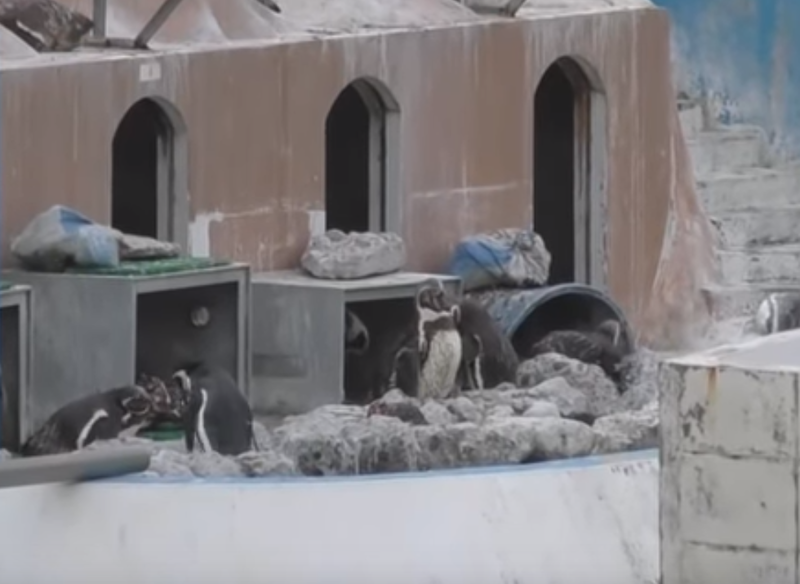 However, reporters were able to take photos from outside the park last March, revealing a solitary dolphin in a tiny pool and “dishevelled-looking penguins” standing on a crumbling structure, with a pile of concrete blocks nearby. The plight of Honey, a female bottle-nosed dolphin, has raised the most concern. Dolphins are happy creatures, living in pods, and enjoying the company of their peers, right? Not for Honey. The group has launched a campaign asking animal lovers to call on Choshi City officials to take action and so far over 1,400 letters and emails have been received. “I beg the authorities to get in close contact with each other and push ahead with this,” wrote another activist. Honey has had a troubled life. She was taken to the Marine Park after being captured in Taiji. It was a 2009 Oscar Award winning documentary “The Cove” that exposed the horrific annual spectacle of fishermen pursuing hundreds of dolphins and driving them into a narrow cove. Some were killed for meat and their mercury-laden meat sold to an unsuspecting public while others, like Honey, were sold to marine parks. Thanks to the success of “The Cove,” the Japan Association of Zoos and Aquariums no longer buys dolphins from Taiji, but activists fear that Honey could be recaptured if returned to waters near Taiji, and they want her sent instead to a sanctuary. Aquariums and marine parks are still seen as great places for a day out with the family in Japan: two such parks now hold a total of seven orcas and there are several other locations to visit marine life held in captivity. 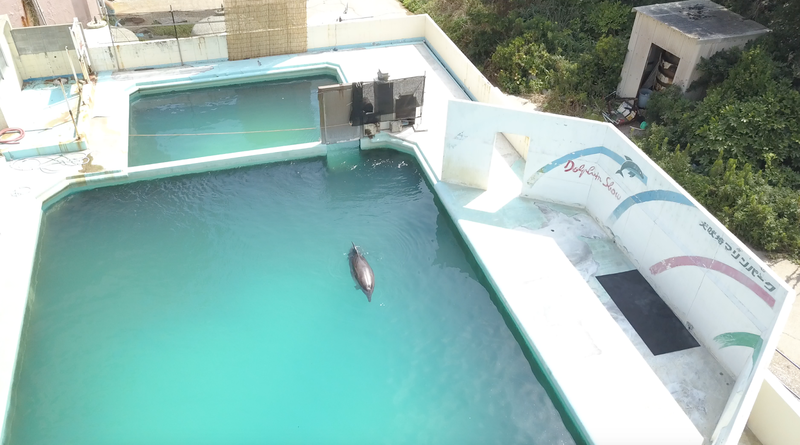 If you are outraged at the idea that these marine animals have been abandoned for seven months in an aquarium without proper support, please sign this Care2 petition, demanding that Honey the dolphin and all the other abandoned creatures be moved to sanctuaries immediately.